There is an unwritten rule that you have to behave well on the internet. The internet is a huge and unknown place and we have to be responsible and safe! Read how we behave safe on the Internet. If you know Chromville World, you also know Zoe, one of the Chromers. We all know that Zoe is a wise girl, especially when it is about the Internet. Zoe knows all about the Internet, how to be safe on the Internet, what the benefits are internet has, how you behave good on the internet, you can ask her every little thing. Maybe you know that Zoe gives advice on one of the coloring pages, in Chromville World, on how to be a good citizen on the internet. She gives you tips on how to act on the internet. She says that you have to keep your personal info private, never communicate online with strangers, be polite and respectful to others online, and many more. Zoe also asks in Chromville World if you have any good tips how to act on the Internet! We need to be responsible and safe when using the internet. Next time we are on the internet we will take into account all the tips you gave us. 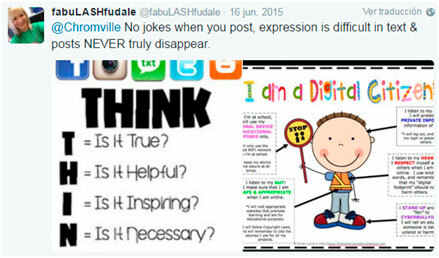 We should all be good digital citizens!